There are numerous reasons to choose timber stables over and above a brick built option. 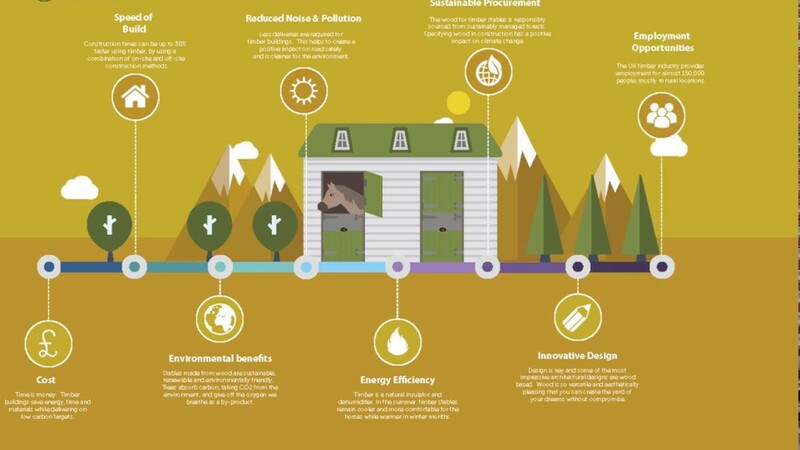 To make life easier we have created an infographic to illustrate the benefits of timber stables and why they are so much better for the environment and your horses. The Wood For Good website further explains why timber is nature’s most versatile building material and is often the first choice for many new building projects, including stable yards.